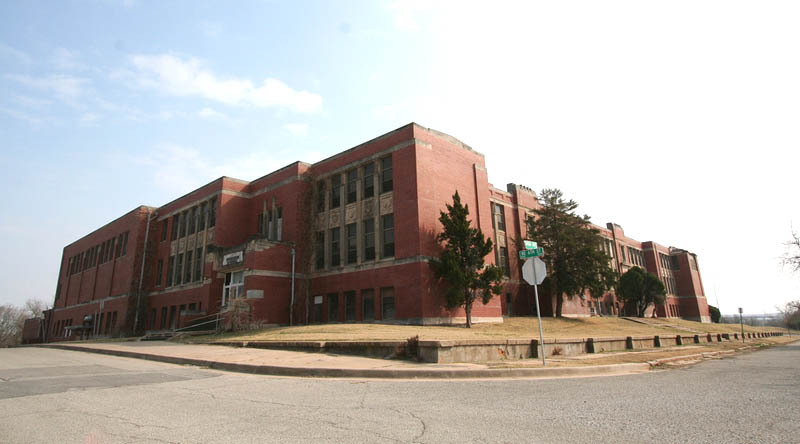 Plans are moving forward to renovate the historic Page Woodson school into housing as part of a large mixed-use development on Oklahoma City's near northeast side. Ron Bradshaw of Colony Partners has submitted detailed plans to the Oklahoma City Urban Renewal Authority (OCURA) which will be considered for approval at their meeting this Wednesday. The plans call for converting the three-level school into 68 apartments and for a new four-level building to be built immediately to the east, which will also have 68 living units. All 136 apartments will be for lower-income tenants. Bradshaw is working with the Oklahoma Housing Finance Authority which will set rents at approximately 60-70% of current market rates. Tenants will be required to meet income guidelines set by the authority. The school was built in 1910 and is on the National Register of Historic Places. In order to receive redevelopment tax credits, the building will need to be strictly preserved. For example, all windows will be replaced but must closely resemble the originals. The exterior will be cleaned but largely not altered. 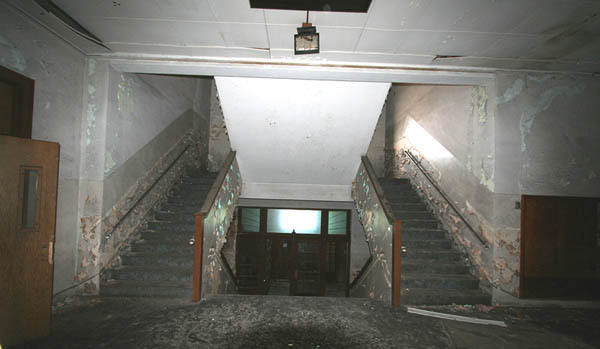 Bradshaw told OKCTalk that the corridors and stairways will be refurbished but kept as original as possible. The classrooms will not be subdivided in any way; they will merely be re-purposed as living units within their existing walls. 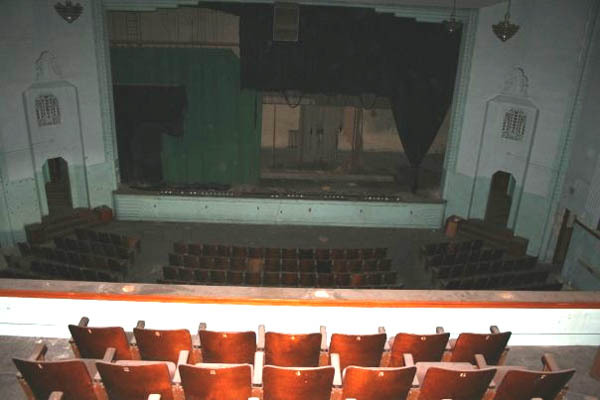 The building, which has been vacant for more than two decades, includes a beautiful and historic 900-seat auditorium, complete with balcony. Bradshaw intends to restore the facility to is original grandeur and to make it available to the community. The gym will be partitioned into apartments but the dilapidated swimming pool – at the southeast corner of the building and not original to the school – will be demolished. 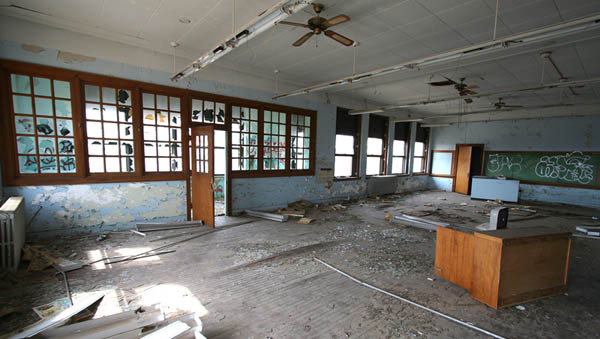 The lobby will feature memorabilia from the school's history and that of the African American community in Oklahoma City. Solomon Layton, who also designed the Oklahoma state capitol building, was the architect of the school which was the original location for Douglas High School. Smith Dahlia Architects of Atlanta is overseeing the school renovation while Butzer Architects of Oklahoma City is heading up design on the new construction. Bradshaw hopes to start clean-up and asbestos removal very soon, with renovation to start sometime around August. About a month later, the new structure will commence. The goal is to complete the entire project by mid to late 2016. 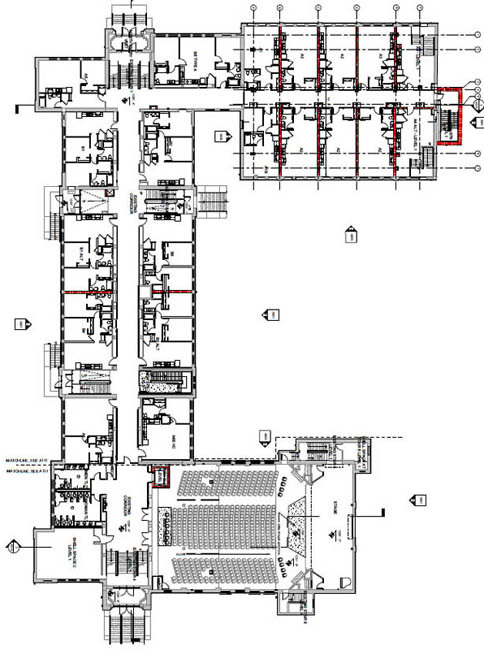 In addition the the school property which Bradshaw purchased from OKC Public Schools in 2013, his group also was awarded the right to develop five surrounding blocks owned by OCURA as part of an RFP process. 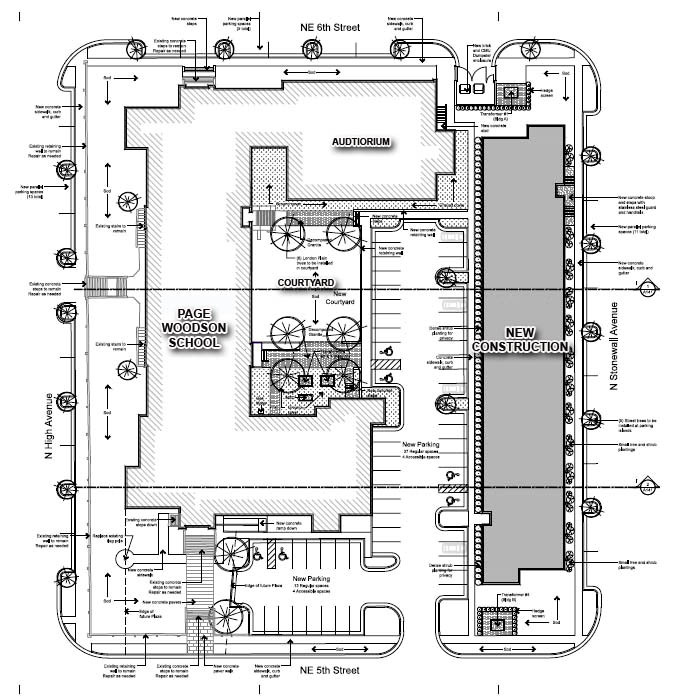 Bradshaw's plan is to develop all five blocks into market-rate housing and commercial space. The development will happen in a rolling fashion with the goal of full completion by 2018. Love that structure, love that local developers are increasingly investing into historical renovations even when there is little/any profit to be made, and very excited about that entire area south of NE 8th, all the way to the RR tracks. Very cool. Love that a neat old building like this is being repurposed. What are they going to do with all that acreage? Build a park? That is going to be nice. I must be getting old because I wish all schools looked like that. That style of design seems to lend a greater sense of importance to a learning institution IMO. I am trying to think of a better way to state that, but hopefully you get the point. The apartments could be very nice. I have seen a couple of older schools converted to housing and there are some neat possibilities to include lofts and other features depending on the ceiling heights, etc. 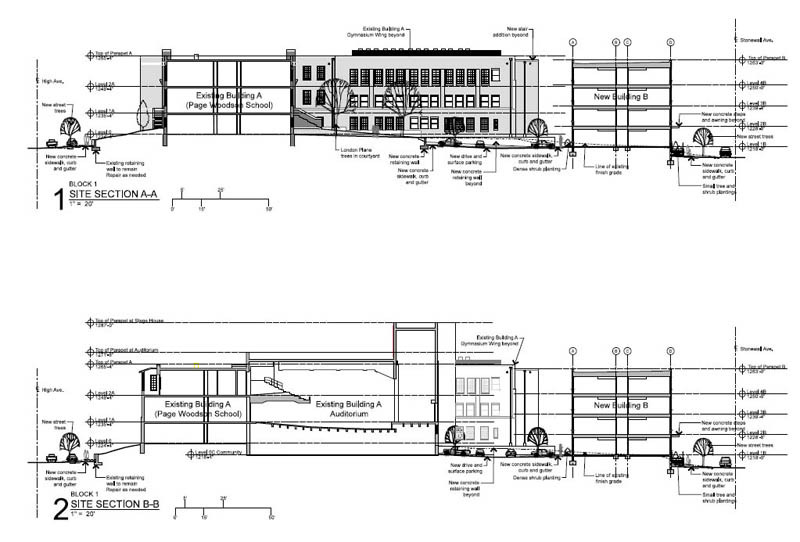 If the Adventure Line is ever built and is actually operated as part of a transit system, a stop at the small parking lot at Washington Park would get people to Bricktown and downtown. That area could be a very nice neighborhood. I remember going to school there when it was called Page Woodson 5th Year Center. I loved that place. A PUD application was just submitted for this project. Looks like they are getting ready to move forward with renovation plans. According to Steve, two groups are competing to develop the surrounding area. New Page LLC., led by developer Ron Bradshaw, already owns the school and is seeking to build 464 residences on the 12 acres at NE 4 and Kelley Avenue. Bradshaw proposes paying $900,000 for the land. He also wants to apply for $950,000 in tax increment financing to reconstruct the street grid on the site so that High Street and Stonewall Avenue can be extended to NE 4, and NE 5 can be connected to Kelley Avenue. No such reconstruction of the street grid is envisioned in the competing proposal by Cincinnati-based Miller Valentine Group, which seeks to build 122 apartments and 20 town homes on the site with gated alley access, surface parking and greenspace areas between the complexes. Sounds like Bradshaw has a fabulous proposal. Here comes the roaring emergence of yet another neighborhood we didn't even realize we had. This will tie together a few smaller SoSA-esque projects in this area and by reconnecting the street grid, make a huge impact. We are going to wish the hotel project and Toby Keith project were both more urban because there would have been an easy urban connection between downtown and OUHSC. Maybe this is just because I'm in education, but I always thought it would be so cool to reopen it as a school. Maybe something like Classen SAS is, although maybe they're too close to one another for that to be viable. Just wishful thinking, I guess! A good analysis of the proposals from Steve in his blog. I wonder why those are all brick and we got the crappy EIFS on the Maywood Apartments? I love the Bradshaw proposal. Can't believe the competing proposal is even serious. Bradshaw has his hands full: Maywood II, Civic Center Flats, Page Woodson (the actual school) and now this proposal for the area surrounding Page Woodson. Proposal 1 (except for the community lawn) is a joke! I hope we jump start JFK development with quality projects the community and leadership will be proud of 20 years from now. Bradshaw's proposal is everything we could hope for. It's mix of uses will be a great addition to the Eastside. I actually do not like the community space in the other proposal because it is a waste. There is a large park (Washington Park) directly across NE 4th St.
Man, the east side is developing serious, REAL momentum. This is a GREAT thing for OKC. It's a neat little area over there with great access to downtown. And Page Woodson is *cool*. Can't wait to see it renovated. This might be a LIHTC project, ironically enough, allowing Bradshaw to write off the construction costs. He probably doesn't even need to syndicate the credit given the scope of what else he is doing. LIHTC deals are like this all over OH and PA - looks like the development practice is catching up to OKC. Redevelopment of the 80-year-old Page-Woodson school, including construction of new housing, is set to start next year following a decision Tuesday by the Oklahoma City Urban Renewal Authority to sell the land to developer Ron Bradshaw. New Page’s plans include restoring the school and its 750-seat auditorium and restoring it as a center of community activity with the aid of historic preservation tax credits. 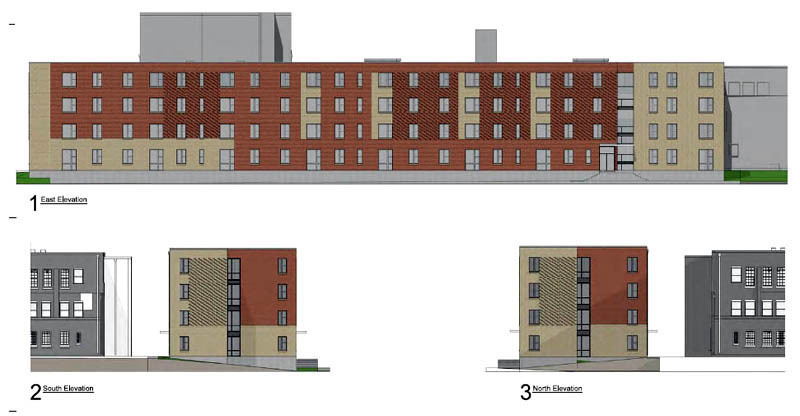 New Page’s plans also include developing 464 units of rental housing in the area in five different phases over a period of about four years that would be a mix of market-rate and affordable units. +100 to this project. I think this will really pay off with the proximity to downtown and hospital city. Great to see something bringing some residential life back to the area. It's sort of iron considering how much effort has been put into pushing people out all these years. I agree it's a great project either way, but I'm disappointed that MV didn't win the deal. They're a really first class developer that we want to get active in OKC. So, Ron Bradshaw's group -- which owns the school itself -- also won the right to develop the land around it. Their design was so icky though. Gated apartment complexes don't belong in the urban core.